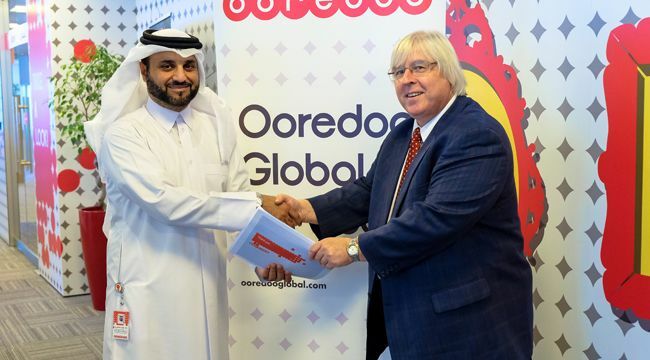 DOHA, QATAR & REDWOOD SHORES, CALIFORNIA, OCTOBER, 2017 – iPass (NASDAQ: IPAS), a leading provider of global mobile connectivity, has announced that Ooredoo Global Services, the wholesale arm of world’s fastest growing telecommunications company Ooredoo, will be providing global Wi-Fi services to its customers across the Middle East, North Africa and Southeast Asia using the iPass SmartConnect™ SDK. The service is set to launch in Q1 2018.
iPass (NASDAQ: IPAS) is a leading provider of global mobile connectivity, offering simple, secure, always-on Wi-Fi access on any mobile device. Built on a software-as-a-service (SaaS) platform, the iPass cloud-based service keeps its customers connected by providing unlimited Wi-Fi connectivity on unlimited devices. iPass is the world’s largest Wi-Fi network, with more than 62 million hotspots in more than 180 countries and territories where iPass customers have connected successfully at airports, hotels, train stations, convention centers, outdoor venues, inflight, and more. Using patented technology, the iPass SmartConnect™ platform takes the guesswork out of Wi-Fi, automatically connecting customers to the best hotspot for their needs. Customers simply download the iPass app to experience unlimited, everywhere and invisible Wi-Fi.